This pattern holds in the U.S., where 60% of women and 57% of men favor legal abortion. In a handful of European countries, women and men do differ in their views on abortion, although not always in the same direction. For example, in countries including Armenia and Lithuania, women are more likely than men to say abortion should be legal. By contrast, Portuguese and Norwegian women are less likely than men to say abortion should be legal. In many countries outside of the U.S. and Europe, men and women also tend to see eye to eye on this topic, according to other Pew Research Center surveys. 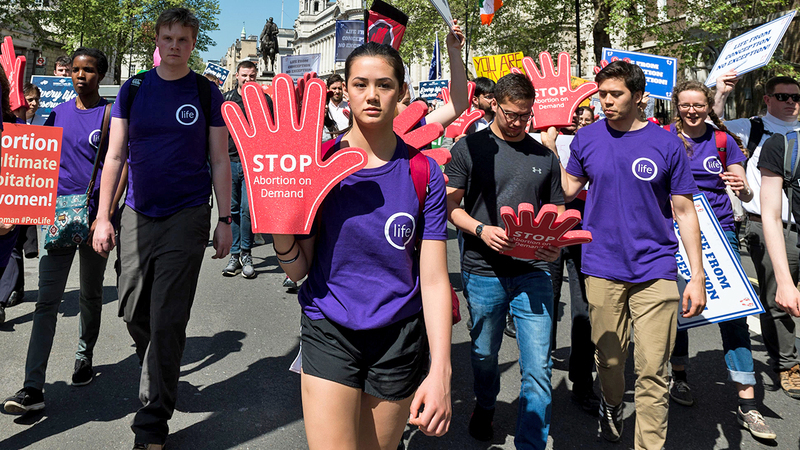 Many factors, including age and education, can influence opinions on abortion, but religion and religious observance often are highly correlated with attitudes on this issue. Indeed, one possible reason women in some countries may not be more supportive of legal abortion than men is women around the world tend to be more religious than men. In other words, attitudes toward abortion may be tied more closely to religion than gender. This religion gap may explain patterns in Europe. For example, nearly half of women in Croatia and Greece (46% and 47%, respectively) report attending religious services on a monthly basis, while only about three-in-ten men say the same. And women who frequently attend religious services are much more likely than women who attend less often to say abortion should be illegal. For example, 61% of Norwegian women who attend religious services monthly say abortion should be illegal, compared with just 11% of those who do not participate as frequently — a 50-percentage-point difference.